After 22 seasons of summer camp staffing experience, we know it’s coming – the camp staffing surge. Beginning the week after college students return to campus from Christmas break, the waves of summer camp staff applications begin steadily surging in, only to be punctuated with mini-staffing tsunamis following the end of spring breaks around the country. We suggest that you use your calm before the storm time for a little pre-season prepping. Here’s how to do it. Tweak your CampStaff camp short description blurb. The short description is the first thing a job seeker will read when searching for camps. (It also pops up in the BROWSE ALL CAMPS on the homepage.) Make sure your description is SELLING your camp jobs. Some of the best we’ve seen list prime perks of working at the camp – like, “near city X” or “on lake Y”. Listing major staffing needs is also effective – “Lifeguard staff needed for our 4 heated swimming pools and waterpark”. Be as specific as you’d like – you can change your description as often as you like! Update CampStaff job openings. This may seem like an easy one but we are betting that most of you eliminated job openings as they were filled in the spring and haven’t “reloaded” since. Take few minutes to update your staffing needs, dates and contact info and while you are at it, refresh your CampStaff staff search skills. When you are ready to do a targeted search to fill that last over 21 year old ski boat driver position, you’ll be ready! 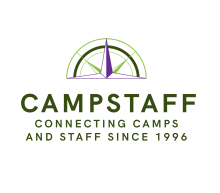 Customize your CampStaff contact emails. When you find a staff member on CampStaff that interests you, you can click on the “contact this job seeker” button. An automatic email will be sent. It’s a great, generic email. Customize this email in your camp profile section so it’s personal and really gets the attention from the staff member. To learn how to customize the email, you can watch this tutorial. Or, log into your CampStaff account, go to “Camp Profile” and then to “Edit Camp”. Scroll down to the section titled “ Camp Staff Information” and then to “Custom Seeker Request Email Message”. Add your customized email here and then remember to hit “submit”. In the mood for some camp reading this winter?